A classically inspired, personalised drink decanter set with engraved bottle stopper detail. 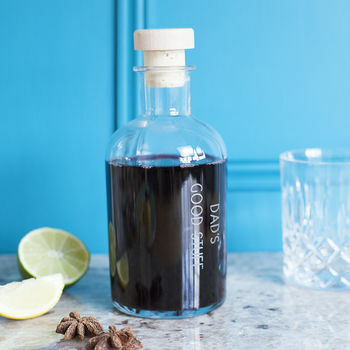 Decant homemade brews, store sloe gins, or simply decorate the 'man-cave' with these personalised drink decanters. 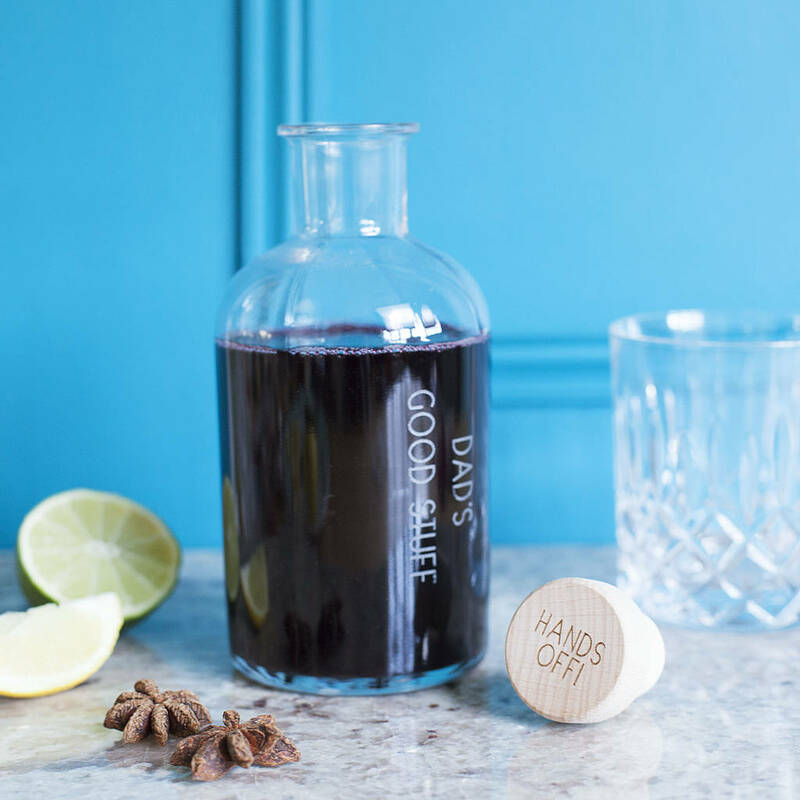 Choose to personalise your drink decanter with a name, or short wording of your choice, engraved into the wooden stopper. The ideal Christmas gift or gift for him, each decanter has been carefully crafted to accentuate any interior. To see our full range of personalised gifts, follow the Clouds and Currents link, or the 'see seller's full range' link, both on this page. Please note that this listing is for one bottle and stopper. Each glass Decanter bottle can hold up to 500ml. Each stopper is crafted from wood, with cork fastening. Each of our bottles are crafted using thick glass. Due to the process used to create the item, this can result in some variations of appearance on the final product. Each bottle with stopper measures 18cm x 7.5cm. Each Decanter holds 500ml.